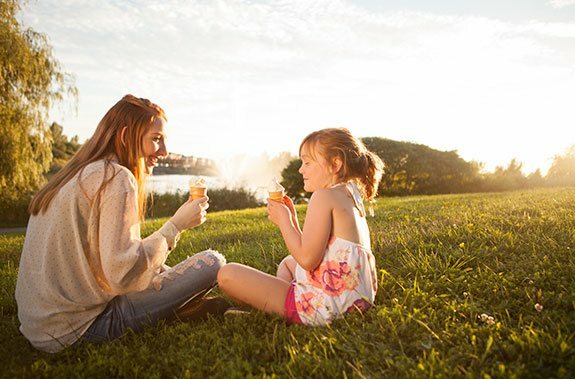 Avalon Encore is surrounded on all sides by parks and recreation centres which are perfect when you and your kids need to blow off some steam. Avalon Encore's own Henri Rocque Park — the first of three built — is an excellent addition to the community and provides visitors of all ages with hours of fun right outside their front door. The park features both junior and senior play structures, a swing set, and an adult outdoor fitness area. The splash pad was designed based on the Hepatica wildflower and named after the street it was built on. This is a go-to spot to beat the summer heat! Millennium Park on Millennium Blvd. is a go-to destination for kids to stretch their imaginations on state-of-the-art play structures. As the main destination for field sports, Millennium Park Stadium is home to many youth teams and clubs like the Cumberland Cobras Soccer Club and the Cumberland Panthers Football Club. There is plenty of seating for spectators so you won't miss a second of your child's game. Millennium Park underwent an $8 million expansion, proposed by Cumberland City Councillor Stephen Blais. 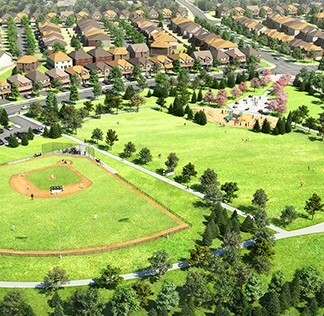 The expansion brought more football and soccer fields to the park, as well as a running track, splash pad at the Millennium Water Park, play structures, and a clubhouse, which allows for year-round recreational activities. For indoor activities, visit the François Dupuis Recreation Centre on Portobello Boulevard. It's fully accessible and is home to a 25 metre 6-lane pool, a leisure pool with ramp entry, and a dry sauna. While you're there, check out the full fitness and cardio centre equipped with all the latest technology. And of course, what would a community recreation complex be if it didn't come complete with multipurpose rooms for group fitness classes and a variety of other programs for the whole family. The Ray Friel Recreation Complex is the ultimate destination for all of Avalon Encore's hockey enthusiasts. The largest recreation complex in East Ottawa boasts three NHL sized arenas to accommodate even the largest team and tournament. Public skating is open to all ages and skills every Saturday. If skating isn't your thing, the Ray Friel Complex also has a 20,000 square foot fitness and training complex, a wave pool, whirlpool, and Karate Dojo. There are elementary schools and high schools galore near Avalon Encore. Several schools are all a short walk or bus ride away so you'll be able to choose the best school for your children. CECCE French Catholique Notre-Place has just opened to students on Aubépines Drive and Avalon Encore is currently in the process of building two new schools — an OCDSB English public elementary school and OCBS English Catholic secondary school. These schools will be within the community for the peace of mind of busy parents — you'll know your children will have safe and convenient access to their education. Want to explore Orleans' endless shopping and entertainment options? Read more about the full list of great restaurants, activities, and shops to visit, just minutes away from your Avalon Encore community.